About WCPE! – WORST. COMIC. PODCAST. EVER! Worst. Comic. Podcast. EVER! (WCPE!) 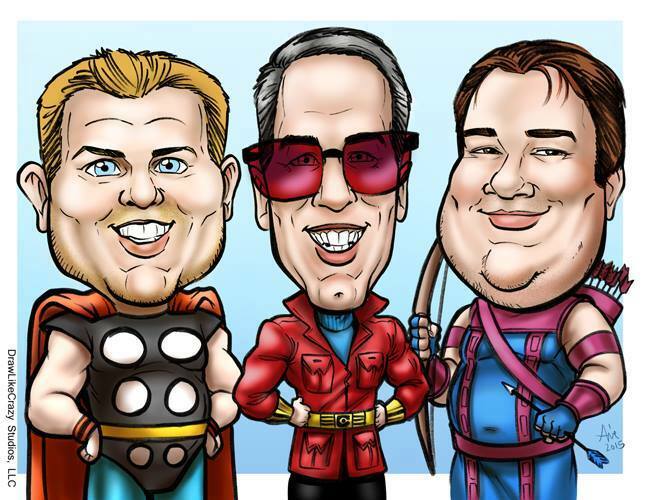 is a new entry into the world of comic book podcasts. While we’re new to podcasting, we are life-long friends as well as comic book readers. As kids, we would race down to the local convenience store on Monday afternoons to see what new comics had been added to the spinner rack. A good week was convincing one of our parents to drive us to an honest-to-goodness comic book shop. Between us, we read and collected a lot of books over the years. Over the years, the love of comics remains true, even if we have new reading and collecting habits. But the highlight for all of us is getting together and just talking about comics. Hence the podcast! Sure, we want to put out something good, but let’s be honest – we’re not professional podcasters. So bear with us as we do our best each week to have fun and talk comics. Meet the guys responsible for the WCPE! Cullen pulled his first comic off a spinner rack in a QuikTrip in Shawnee, KS, in 1978 and spent the next few years casually reading books like Dazzler, Marvel Team-Up, Marvel Two-in-One, and She-Hulk purchased from gas station magazine stands on family vacations from around the country. Then he met John and Jerry in junior high and learned you could go to a store which sold nothing but comics and he lost his mind. Cullen is a homemaker and he has four children and a beautiful wife with whom he plays Gotham City Imposters with every chance he gets. He’s a human. Last comic to make me cry: Daytripper by Gabriel Ba and Fabio Moon. It spoke to the power of intimacy with oneself and others while admitting all are at the mercy of chaos. Comic that I am embarrassed to admit to owning: I’m not embarrassed by anything in my collection or I would have purged it long ago. Although I do occasionally get miffed at myself for spending money collecting all of the Topps Kirbyverse books. 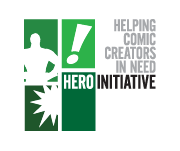 Nerd cred: My friends and I have volunteered in Kansas City for the Hero Initiative for almost a decade and thanks to Planet Comicon, Elite Comics, and lots of comic book creators we raised the highest donation/sales amount ever from KC in 2014. Suffering from severe asthma as a kid, Jerry found comics as a way to pass the time inside during the peak allergy seasons. Even though asthma and allergies faded over time, Jerry’s love for comics continued to grow. His parents didn’t mind, as they knew there were worst ways for Jerry to spend his allowance money each week. Today, Jerry enjoys sharing his love of comics with his children, sharing a mix of current comics and tales from long ago. Last comic to make me cry: The Fifth Beatle – I knew how the story was going to end, but I still cried like a baby reading this! Nerd cred: My wedding was at night, allowing me to go to the big comic convention during the day. During visits to his grandparents, John would hang out with his cool older cousin who collected comics. John didn’t have an easy place to get comics so his Mom offered to get him a subscription to a comic book and he chose Super Friends instead of something that looked weird like X-Men. He remembers the day in 1980 when he rode his bike to the EZ-Shop and picked up a copy of New Teen Titans #1. That book turned him from a kid that read comics into a collector. Comic books got John into science fiction which led to an interest in astronomy and physics. He lives and teaches physics in Overland Park, Kansas with his wife, daughter, two cats and a pooch. Nerd cred: My physics classroom is covered in superhero posters and the walls of my basement are covered in original art by comic creators. I decoupaged a table and a bookshelf in old comic pages. Other projects: Follow my Twitter feed – look for @comicconjohn.